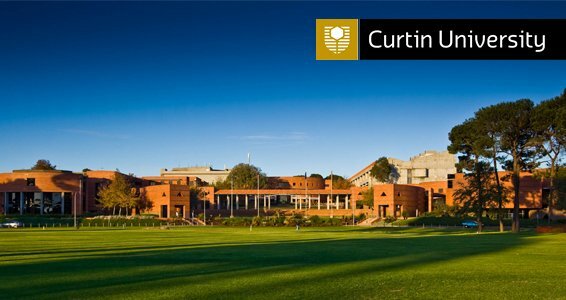 The Curtin Engineering Merit International Scholarship is available to international students who have completed their first semester of study at Curtin University in semester 1, 2013 in an eligible course. Applicants will need to have demonstrated high-level academic achievement in their studies at a WA College for example Canning College, Tuart College or Murdoch College and obtained an ATAR or equivalent in 2012. The Scholarship will provide 25% of the tuition fees per semester for the remaining expected duration of the degree. Two scholarships will be awarded in each of the areas of Chemical, Civil, Electrical, Mechanical, Software Engineering and WASM if there are candidates of sufficient merit. If the student has already paid their fees for semester 2, 2013, they will receive 50% of their tuition fees paid in semester 1, 2014. The Scholarship is available for the remaining expected duration of the initial undergraduate course (including honours) offered to successful Scholarship recipients. For example, if the remaining expected duration is 700 credits of study, the Scholarship will cover 700 credit points only. Any study that is taken over and above the remaining expected duration will be at the student’s expense. No extensions beyond the original duration of study will be considered. Scholarship continuity is subject to meeting satisfactory academic progress (Course Weighted Average of at least 70.00 and pass all units attempted each semester). Progress will be assessed at the end of each study period. The recipient must maintain a status of Good Standing for the duration of their studies. Unless there are exceptional circumstances, a recipient with unsatisfactory progress or who breaches the Scholarship conditions shall be ineligible to retain the Scholarship. Determination of exceptional circumstances shall be at the discretion of the Manager, Scholarships Office. A Curtin Engineering Merit International Scholarship is not transferable to another university or any non-engineering degree or to an area outside the one it was awarded. This scholarship can not be held in conjunction with the Canning College Engineering Bursaries. Withdrawal or Terminated from units or course: A student who withdraws from their units or course of study, or has been terminated from studies will become ineligible for continuation of the scholarship, will not receive any further payments and will be required to repay to the University the stipend awarded for that study period if applicable. An applicant must submit a completed application form with supporting documents attached by 4:00pm on closing date to the Scholarships Office at the Bentley campus. Application forms are available on the Scholarships website. The scholarship will be awarded if there are candidates of sufficient merit. All applicants will be notified of the outcome of their application via their official communications channel in Oasis within 4-6 weeks of the closing date. In order to accept the Scholarship a recipient will be requested to return signed terms and conditions and a talent approval form. Once a Curtin Engineering Merit International Scholarship has been accepted, the Scholarship will commence from the second semester of study. The 25% contribution to student fees will be paid directly to the student fee account at the census date relevant to each enrolled semester. If the student has alread paid their fees for semester 2, 2013, they will receive 50% of their tuition fees paid in semester 1, 2014. For advice on your Centrelink payments and how your scholarship could affect your payment, contact the Centrelink Office on the Bentley Campus. If you require a letter about your scholarship for Centrelink, please contact the Scholarships Office. Any equity or merit scholarship of less than $7233 pa will not affect your Centrelink payment. Provided you are a full-time student, money paid by the University towards your HECS fees (student contribution) is not considered as income. The Australian Tax Office has a tool to help you determine if your scholarship is taxable. For expert advice please contact the Australian Taxation Office or your accountant. If a letter regarding your scholarship is required for taxation purposes, please contact the Scholarships Office.